Many homes and offices have carpeting in at least one area, if not more. In many rooms, it is an excellent alternative to hard surface floors, especially if you have children or pets, because the surface is softer, quieter and warmer to walk across with bare feet. However, carpeting can pick up dirt very easily, and once this dirt becomes embedded, your carpet begins to show it. If you want to keep your carpets in tip-top condition and you are in the Tampa FL area, call Carter’s Floor and Surface Care for professional carpet cleaning services. We offer high quality services for a fair price. Walking across a lush, soft carpet is a luxurious feeling, especially when the carpet looks and feels as clean as it did on the day that it was first bought. If your carpet is beginning to look dirty, it certainly won’t feel as soft and clean as it used to. Breathe new life back into your carpet by arranging carpet cleaning in Tampa with Carter’s Floor and Surface Care. 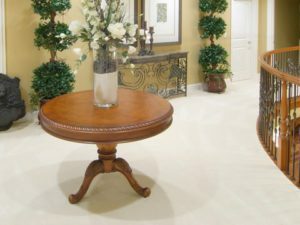 At Carter’s Floor and Surface Care we have decades of experience cleaning and protecting fine upholstery. Kids, pets, guests, and general usage all take a toll on your furniture. Our professional technicians are thoroughly educated and trained in proper cleaning methods and solutions for your furniture, from removing dirt, dust, and allergens trapped deep within the upholstery fibers to applying protective treatments. Our highly effective cleaning process is safe and healthy, and leaves your furniture refreshed and inviting. Are you in the Tampa area and need a quality carpet cleaner or upholstery cleaning services? Contact us for a free estimate.